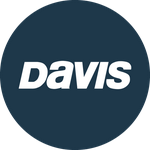 Davis Instruments Support, FAQs and Troubleshooting - Where can I find a detailed technical comparison of a Vantage Pro2 and Vantage Vue? All Categories ​>​ FAQ ​>​ Vantage Pro2 ​>​ Where can I find a detailed technical comparison of a Vantage Pro2 and Vantage Vue? We've put together this table to show you how Vantage Vue and Vantage Pro2 compare in accuracy, resolution and range.